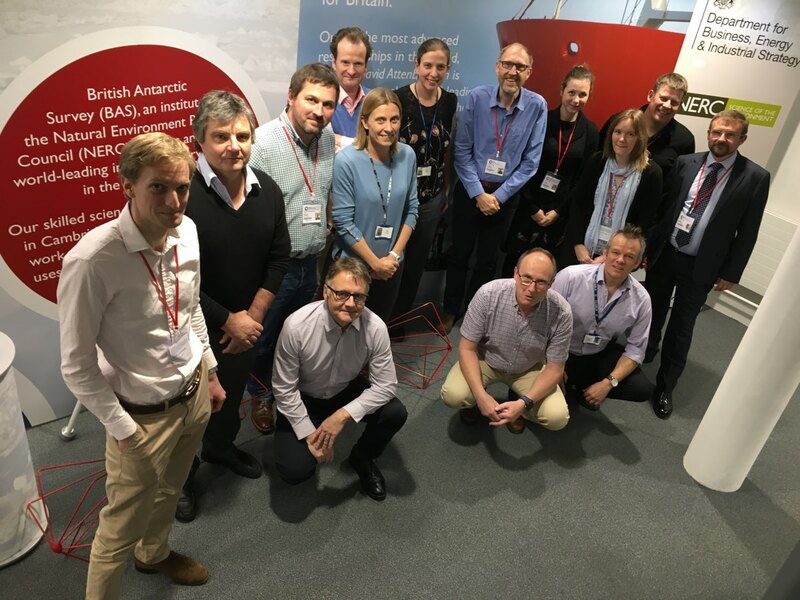 The Government’s first 5-year review of its sustainable use Marine Protected Area (MPA) has commenced with a two-day workshop held at the British Antarctic Survey in Cambridge. The workshop incorporated representation from scientists, the fishing industry, the tourist industry, non-governmental organisations and an independent reviewer (Dr Alistair Dunn, MPI New Zealand). The workshop was chaired by Dr Colin Clubbe, Head of Conservation Science at the Royal Botanic Gardens, Kew. The ad-hoc advisory group considered how the scientific understanding of the Maritime Zone had developed in the 5 years since the MPA was designated and assessed the effectiveness of current management and monitoring measures. 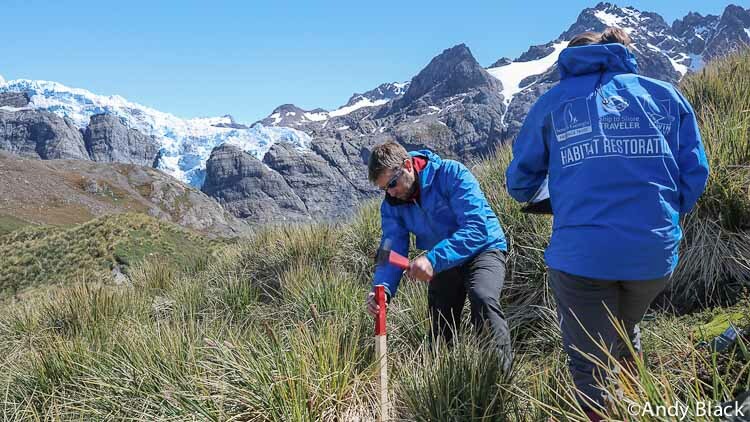 Priorities for future scientific research and monitoring were considered, including in the context of evidence of ecosystem change and future threats such as climate change and biosecurity. The group will now begin to synthesise a report to the Government based on the workshop discussions and conclusions. This will include advice or recommendations for consideration by the Government. The report is due to be submitted to Government by May 2018. The SGSSI Financial Statements and Audit Report, for the year ending 31st December 2016, have now been published. The Government has launched the next toothfish licensing round. The documentation here, provides information for anyone applying for a licence to fish for toothfish in the South Georgia & the South Sandwich Islands Maritime Zone for the years 2018 – 2021. The deadline for applications is 10 December. The Government has also produced a Management Plan to accompany the documentation which seeks to provide a clear framework for the management of the fisheries. The launch of this 4-year licensing round follows a consultation with stakeholders on a number of proposed changes to the way in which the toothfish fishery, and other fisheries in the Maritime Zone, are managed. The changes were proposed in the context of the Government’s ecosystem-based, precautionary approach to fisheries management that continually seeks to raise standards. This licensing round will be established on the basis of existing fisheries legislation. In light of the consultation the Government proposes to consult in more detail on a new compliance and enforcement policy and updated fisheries legislation applicable to all fisheries in the first half of 2018. The intention is that this will be introduced at the end of the 2018 fishing season i.e. at the end of the first year of operation of the 4-year licensing round. GSGSSI is delighted to announce it will be working with ‘Working Dogs for Conservation’ (WD4C) to undertake a trial of a new rodent biosecurity detector dog programme. The trial is scheduled to take place between February and April 2018. The dogs will be based in the Falkland Islands, and will be deployed on vessels to undertake biosecurity checks before they set sail to South Georgia. The project is an integral part of the enhanced biosecurity provision which is necessary following the work to eradicate invasive rodents from South Georgia by the South Georgia Heritage Trust. It complements a comprehensive range of other pre- and post-border biosecurity measures GSGSSI already has in place. 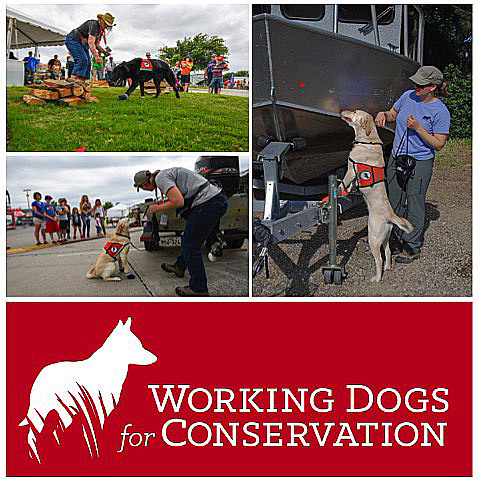 WD4C is a US (Montana) based organisation which builds upon the techniques used to train dogs in drug detection to pioneer ways to use a dog’s sense of smell to detect a whole range of targets, including everything from invasive plants and invertebrates to illegally hunted ivory and endangered species. Over the coming months WD4C will begin the process of training the dogs to search out the species of rodent most commonly found on ships and getting them and their handlers ready for their journey south. For more information on GSGSSI’s existing biosecurity provisions please see our latest biosecurity handbook, available at: www.gov.gs/biosecurity/. For more information on WD4C email Pete Coppolillo. Two and a half years since SGHT last spread bait in the third phase of the Habitat Restoration project to eradicate rodents from South Georgia, Team Rat are back, along with some friends! Thies Matzen and Kicki Ericson on their yacht Wanderer III and a team from the South Georgia Government are helping Team Rat to survey a large sample of the 1000 km2 of rodent-infested land baited in 2011, 2013 and 2015. The first half of the season involves setting out detection devices – wax tags, chewsticks and traps – which will be left at the baiting sites for several weeks before they are collected and checked for rodent sign. Government and SGHT staff deploying monitoring devices to make sure their are no signs of invasive rodents. Photo Andy Black. The team is split into three groups to cover the maximum area possible; a ground team to put out devices in the areas reachable on foot from King Edward Point (KEP) and two vessel teams to cover the more remote sites. Thies and Kicki, with Deputy Project Director Pat Lurcock on board, made an excellent start to the season between 23rd and 31st Oct by visiting 8 sites in the north-west of South Georgia. They returned to KEP weary but in good spirits after some very hard work operating from a small yacht. Pat then joined HR Project Director Dickie Hall and the rest of the Phase 4 team on their arrival at KEP on the 3rd of November and they had a very busy three days unpacking, checking and repacking supplies for the various deployments around the island. The ground team were installed at Husvik Manager’s Villa on the 8th of November. By 14 November, 32 of the 110 potential survey sites had been visited and had passive detection devices deployed. 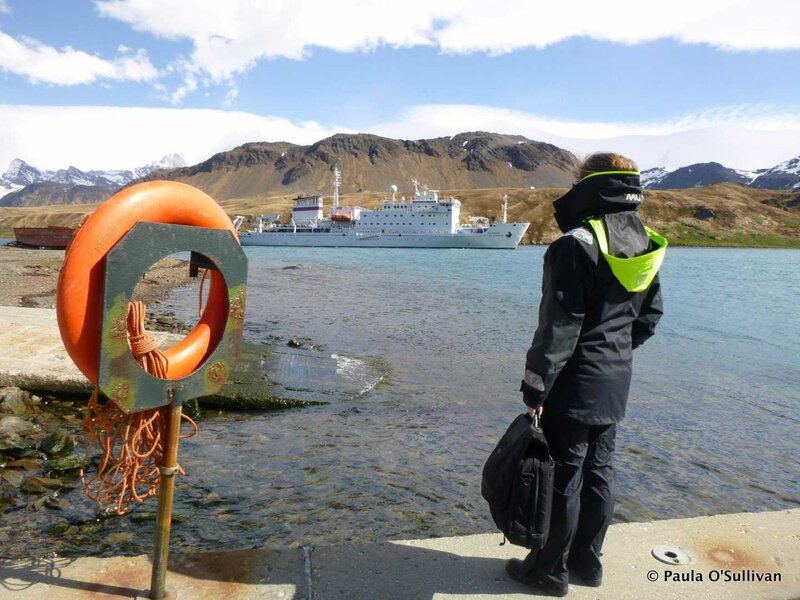 Over the following 4 weeks the teams aim to visit the remaining 78 sites and deploy passive monitoring devices. This is a huge task but a very good start has been made and up to mid-November only one working day had been lost due to the weather. In late December Team Rat will be joined by three furry friends (specially trained sniffer dogs Will, Ahu and Wai) and their handlers Miriam and Jane, who will survey wide areas of land while the devices are being collected. As the first half of the survey, the device deployment, draws to a close we thank our friends in GSGSSI and on Wanderer III for their assistance and wish Team Rat luck in finding any surviving rodents (while hoping there are none!). A bronze bust of the island’s hero, Sir Ernest Shackleton, was unveiled on the steps of the South Georgia Museum. Former Artist in Residence, Anthony Smith, started work on the bust during his residency at the museum during the summer of 2013-14. He described the residency as literally life changing, and has returned working on the cruise ships every year since. He has also continued to work on various mainly wildlife inspired sculptures inspired by the time he spent on the island. The bust arrived with the artist on the Silver Explorer. The 130 passengers travelling with the ship gathered to watch the unveiling at which Curator Charlotte Yeung Yuen Tai explained the significance of the bust, which will enable visitors to “meet” the great explorer face to face. The bust is on loan from the artist and the South Georgia Museum hopes to raise funds to enable it to become a permanent part of the museum collection. It is now on display in the Fullerton Room close to the other significant Shackleton related artefacts the museum is lucky enough to house. 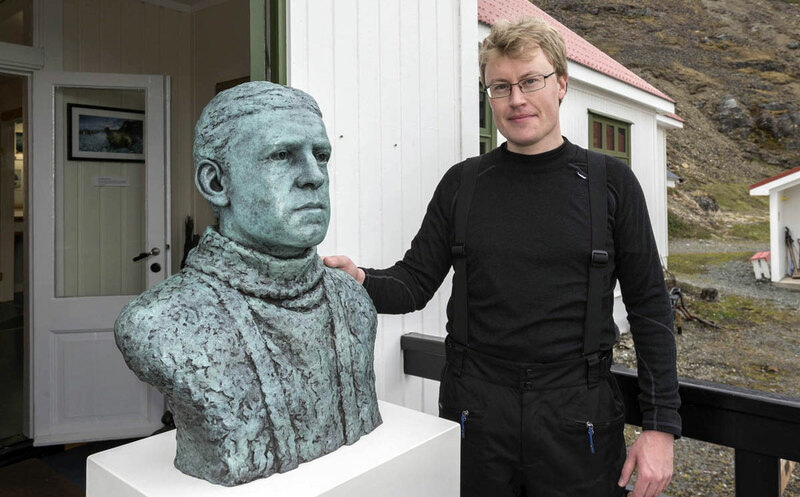 Sir Ernest Shackleton bust with former Artist in Residence, Anthony Smith. Photo SGHT. 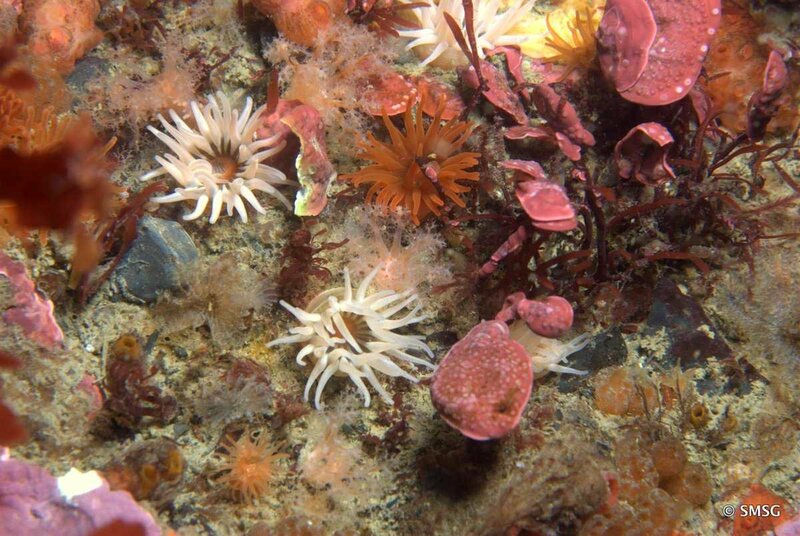 92% of South Georgia seafloor and its beautiful benthos is protected from fishing activity. Photo SMSG. Government Officer waiting to welcoming visitors. Photo Paula O’Sullivan. 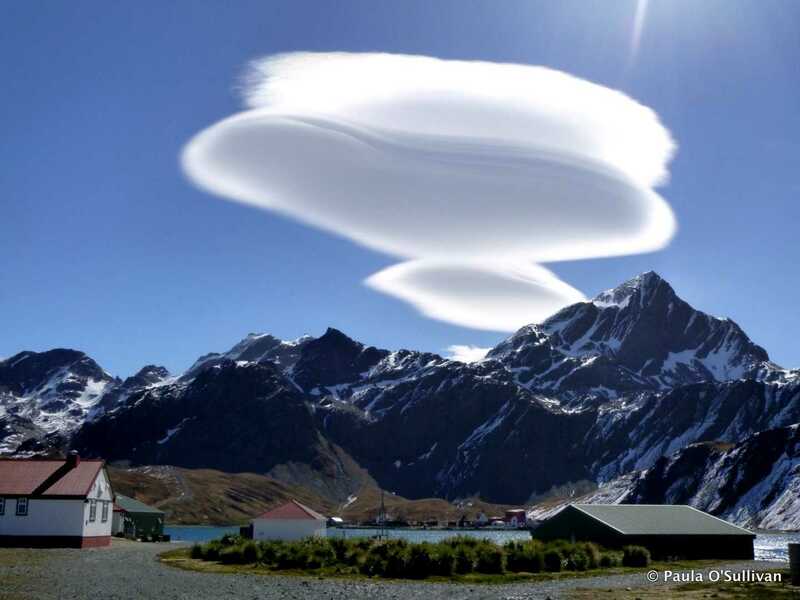 South Georgia lenticular cloud. Photo Paula O’Sullivan.